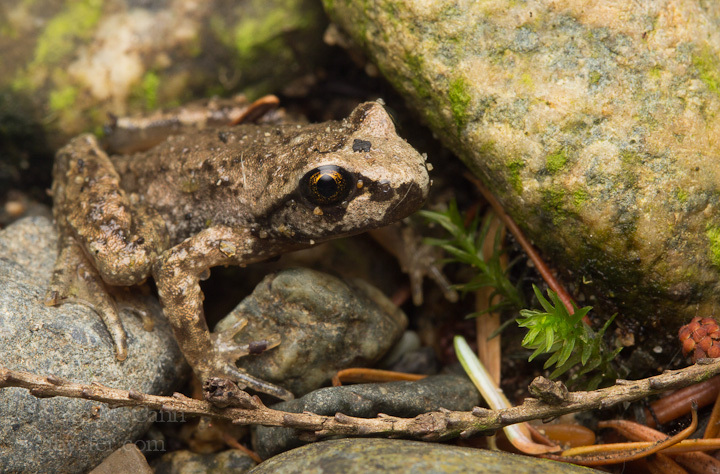 This weekend, Catherine and I took a trip to Mossom Creek in Port Moody, in search of a very special frog: the Pacific Tailed Frog (Ascaphus truei). 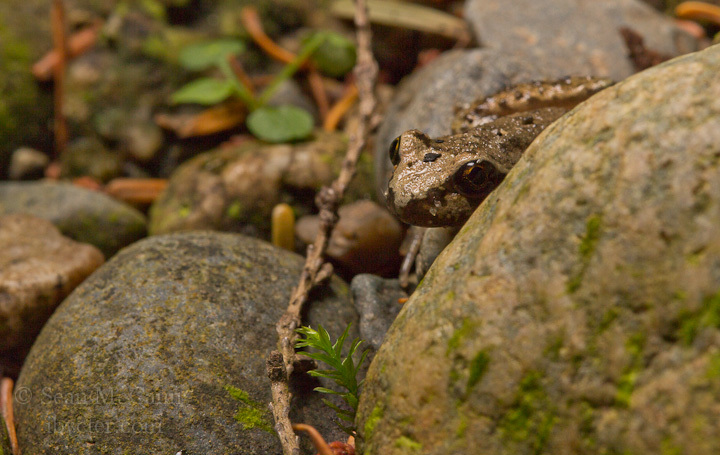 The Pacific Tailed Frog gets its name from a copulatory organ present on the males of the species. 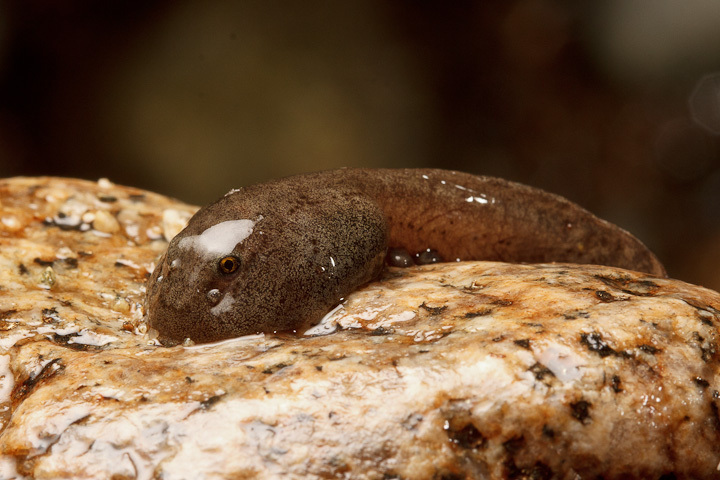 Because their preferred habitat are these cold, fast-flowing creeks, the usual froggy broadcast of sperm over an egg mass would not be very effective, so these frogs use their “tail” for internal fertilization of the eggs within the female. 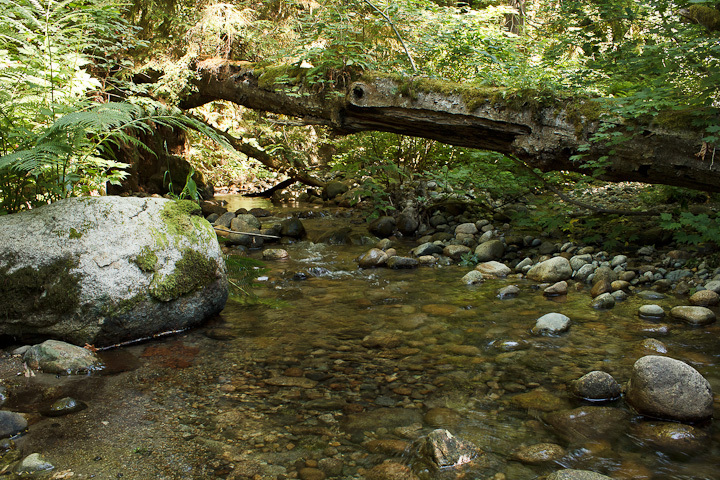 I had never been to this creek at this time of year, so I was a bit unsure whether we would find any, but it is such a lovely spot it would be nice anyway. 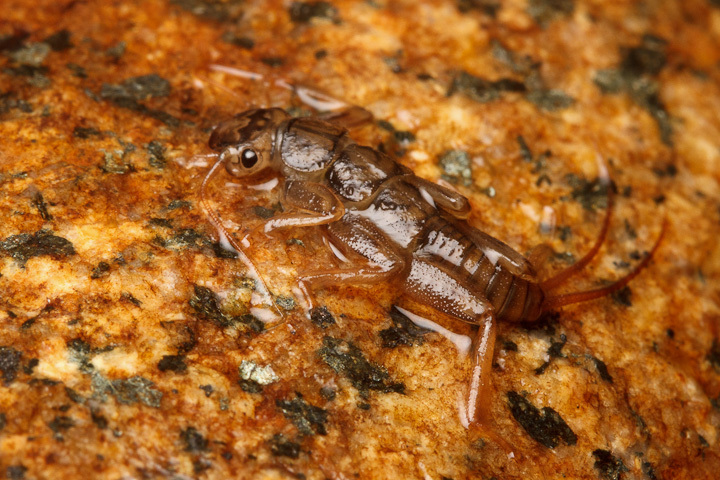 Looking under rocks is the best way to find larvae of Tailed Frogs, and incidentally is also great for finding stonefly larvae! 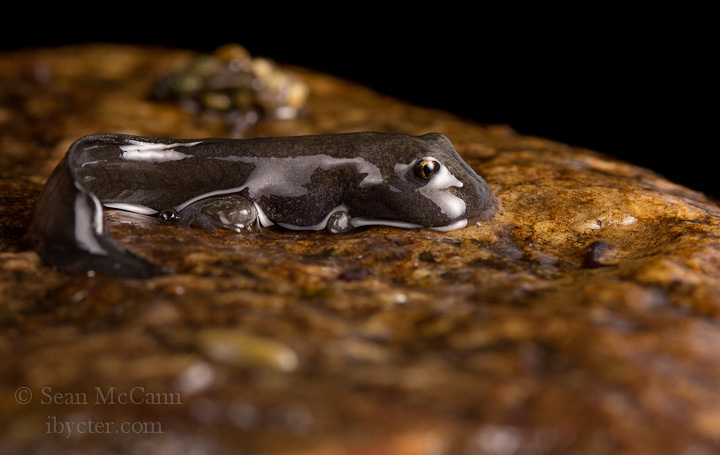 It wasn’t long before Catherine turned up this gorgeous Tailed Frog tadpole, clinging to a rock with its suction cup-like mouth. 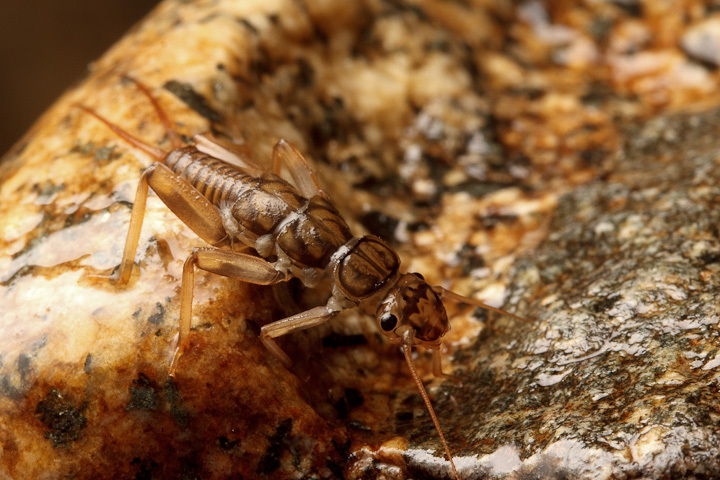 Here is a stonefly that is much smaller than the nymphs we turned up. 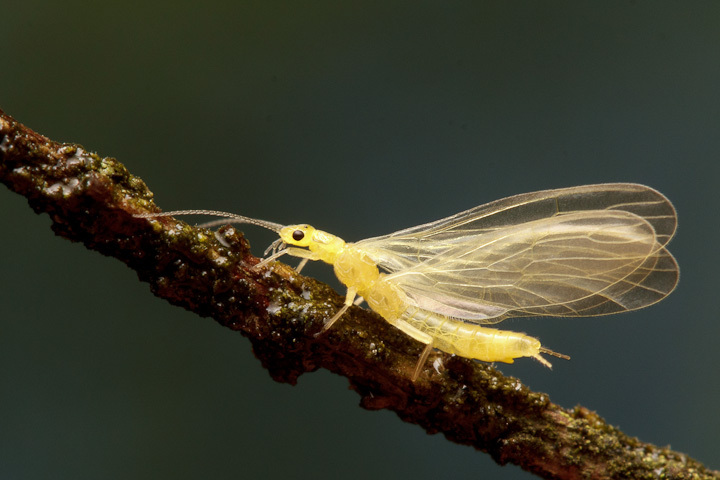 This is likely a newly-emerged Isoperla. 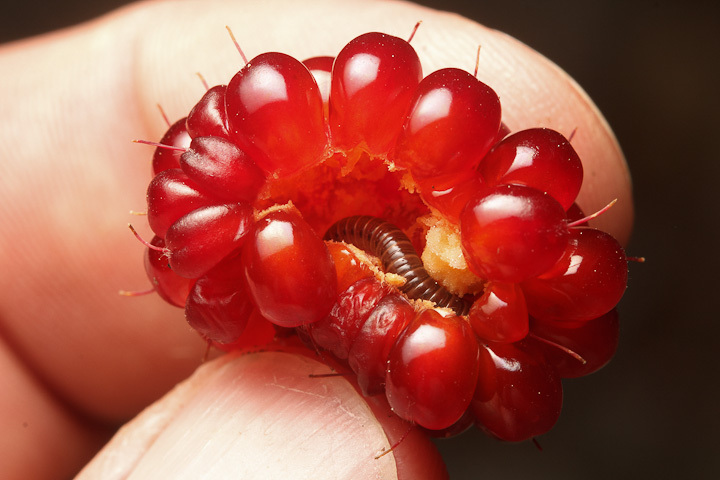 It is a good thing Catherine examines salmonberries before eating them! 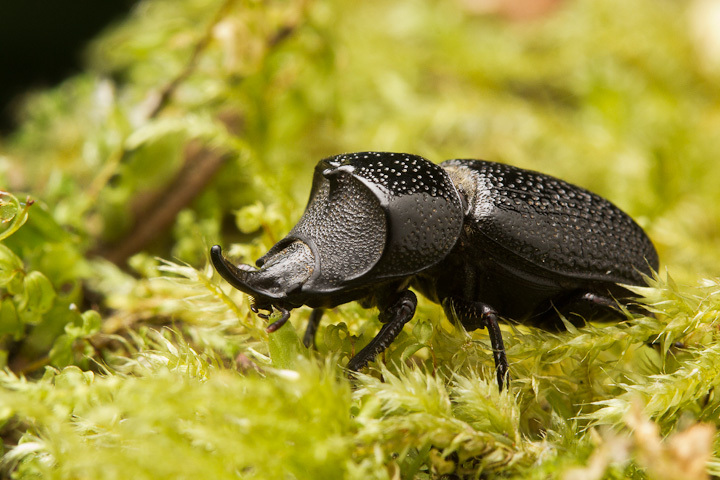 When in the woods around here, a rugose stag beetle is always a good find! 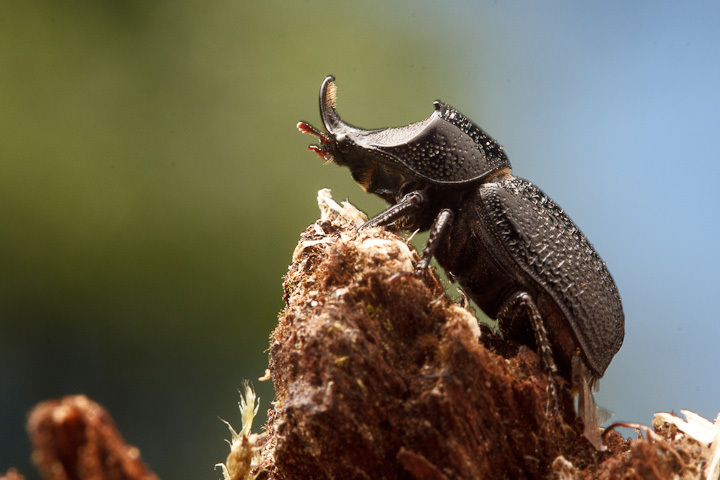 Sinodendron rugosum is a gorgeous beetle, with elaborate ornamentation on the males. If you scaled this up and cast it in metal, it would make a good beer bottle opener! 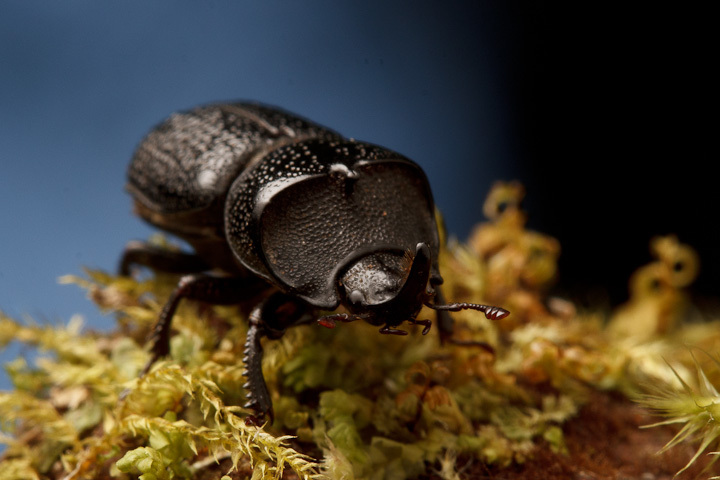 The beetle used these projections for intrasexual combat. 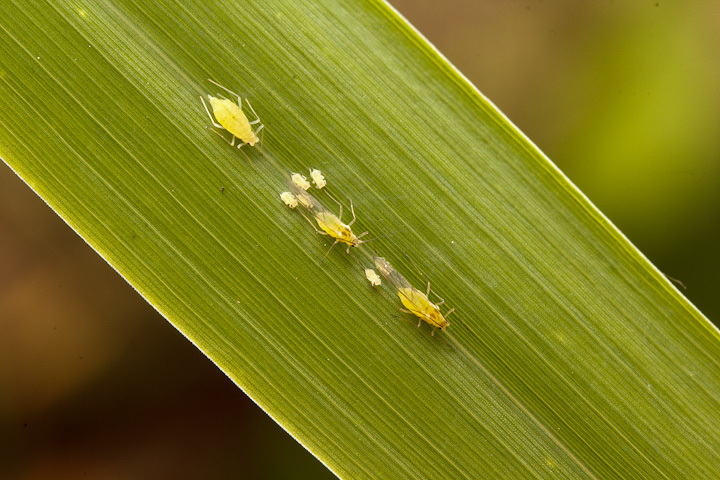 Aphids with newborns on a grass blade. A better view of a great frog! This larva was a lot more advanced than the one we found on Sunday. This one has legs! 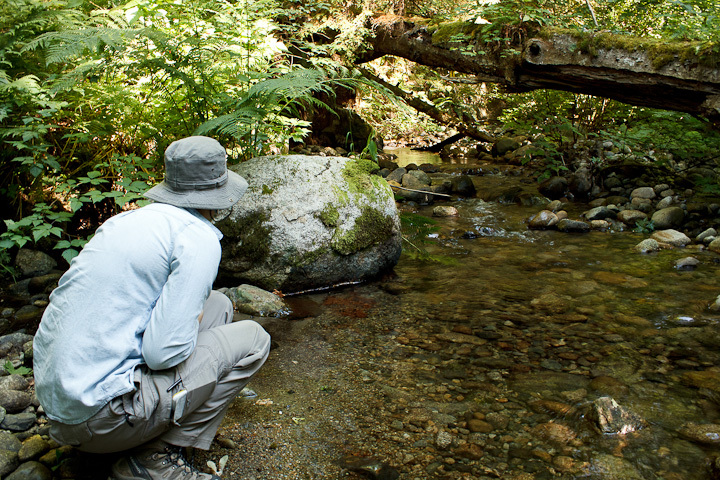 This entry was posted on June 15, 2015, in Weekend Expedition. Bookmark the permalink.